Around the World . Food . traditions . Morocco . Marrakesh . Africa . 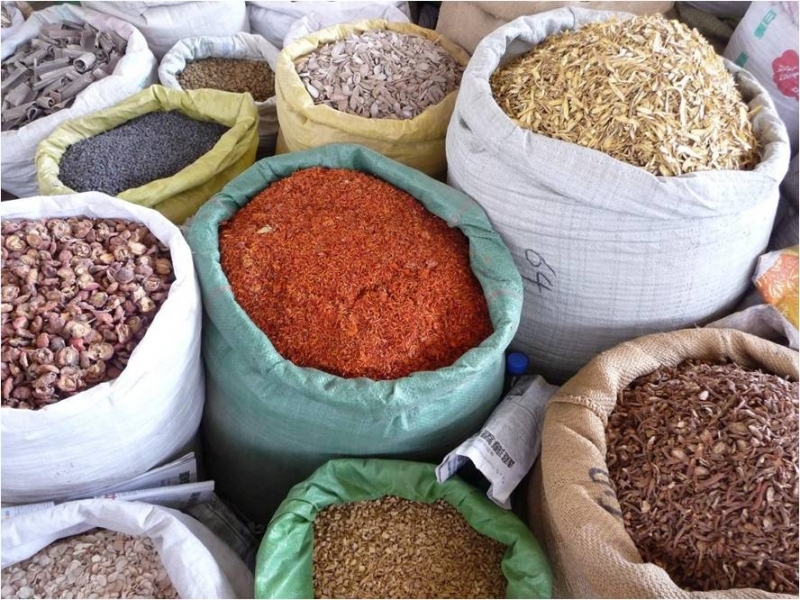 Thanks to its geographical position at the crossroads of Europe and Africa, Moroccan cuisine is a unique mix of Mediterranean flavors and traditional spices imported by the Arabs thousands of years ago. 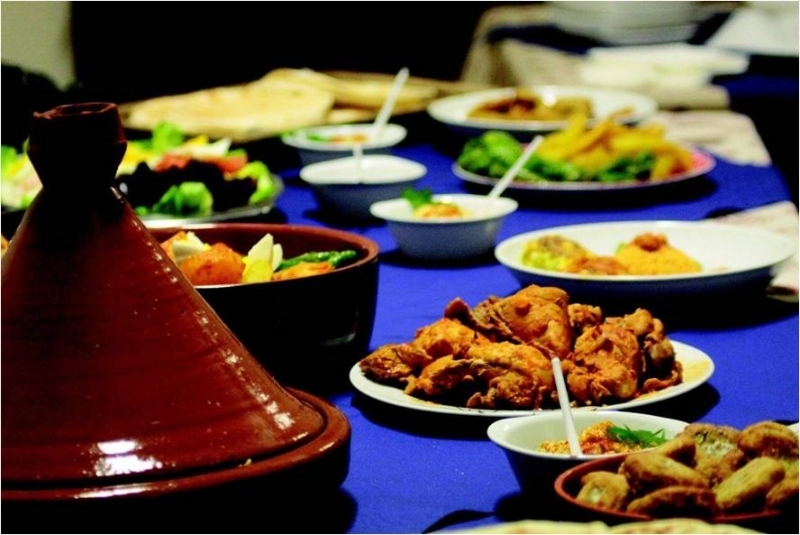 If you’re headed to Morocco for holidays or business, make sure you spoil yourself to a gastronomical treat and enjoy one of the best-kept secrets of the African continent. And if you have the chance to stay a bit longer, don’t limit yourself to the tasting, and consider instead joining one of the many cooking class offered in Marrakech. In the city, you can find several schools and workshops with classes of different lengths and levels, and the courses are usually held in hotels or in a traditional Riad. Many of them offer both the option of joining a group or taking private classes, in case you want to delve deeper into the recipes. In both cases, half of the fun lies in the grocery shopping at the local markets, where haggling is a must. 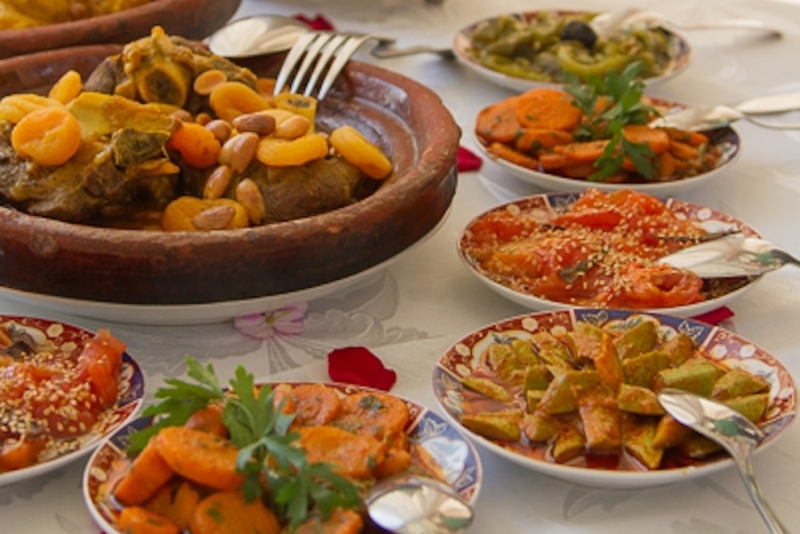 Here some of the best-known cooking classes and workshops in Marrakech. Probably the most popular cooking school, the luxury hotel La Maison Arabe offers classes for both professional cooks and amateurs. The lessons are held in the hotel kitchen itself to groups of max. 10 persons. Faim D’Epices is not a hotel, but an exclusive cooking atelier located in a lovely farm just outside the city. Once you register for one of their workshops, they will take care of the transportation from and to your hotel. They partner up with a local Spa-Hammam to offer the complete Moroccan experience. Other cooking schools worth mentioning are Dar Les Cigognes and Riad Monceau, both run by two awarded local cooks. These are just a few recommendations, but you will have plenty of choices when looking for a cooking class in Marrakech. If you are looking for a new and exciting adventure, Morocco is your ideal destination to be hold, go adveture in Morocco through Morocco Travel Packages!